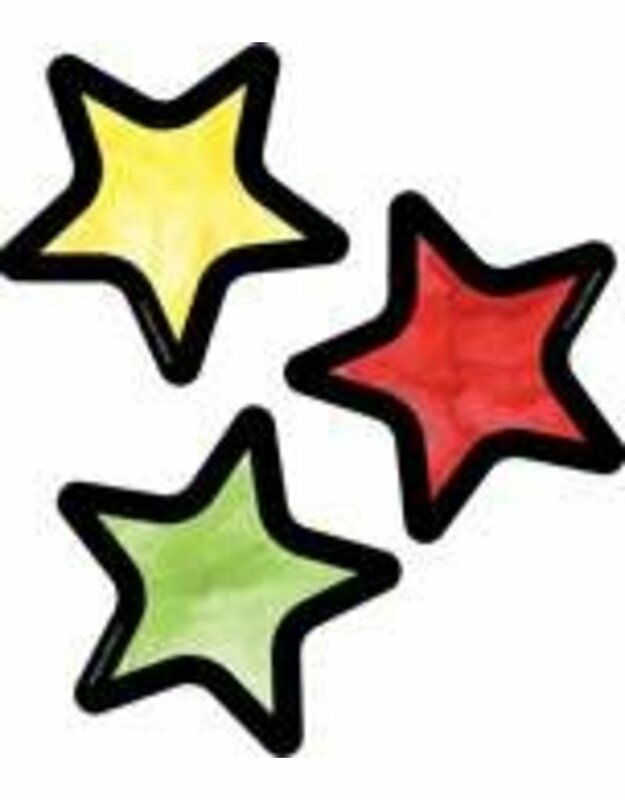 The Celebrate Learning Stars mini Colorful Cut-Outs(R) pack includes 32 stars in these colors:-6 blue-6 red-5 orange-5 yellow-5 green-5 purpleUse these 32 classroom cut-outs to add color and engage in learning activities. Assorted mini Colorful Cut-Outs are available in a variety of shapes, colors, and styles. You can use mini classroom cut-outs as game pieces, desk tags, and more! Check out other Celebrate Learning accents to create a cohesive classroom theme.